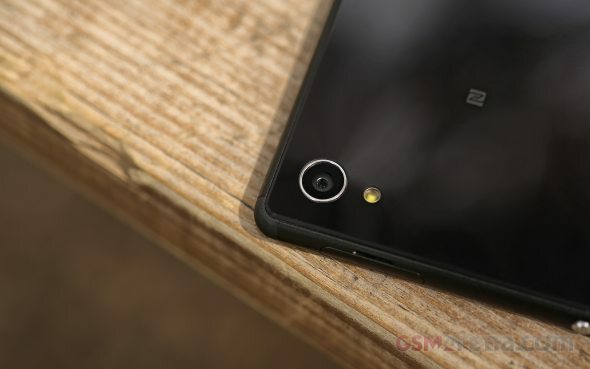 The Sony Xperia M4 Aqua boasts a 13MP camera, which is impressive, at least on paper. The Xperia M4 Aqua shoots with a maximum resolution of 4128 x 3096 pixels (13MP) in both Manual and Superior Auto modes if you opt for the 4:3 image aspect ratio (16:9 is default and it's a smaller size). The camera is aided by a LED flash for low-light photography. The phone has a dedicated two-stage shutter button. The camera viewfinder is the usual affair, nothing has changed on Android Lollipop. In Superior Auto mode stills and videos share it and you can snap a photo or shoot a video without changing modes beforehand. While this is convenient, framing your videos correctly is nearly impossible as they have a different field of view and you only get to see the actual framing only once you've started recording. IN Manual mode you can switch between stills and video capture so that you can see the framing of your images and videos correctly (each with its own field of view) before you've pressed the shutter. In Manual mode you also get access to "manual controls" on the viewfinder, which sounds more impressive than it really is. There's an exposure compensation slider and a white balance selector. You can also control the ISO, metering and focus modes, turn on/off image stabilization, but those are buried in the settings menu. Manual and Superior Auto aside, the Xperia M4 Aqua offers several other interesting shooting modes. There's Sweep panorama but, it's not really all that great. Stitching is not horrible, but till clearly visible. Other modes include the regular Picture effect mode, which creates a 3 x 3 grid that shows all the available effects in real time. Our first impression from shooting with the Xperia M4 Aqua is that the camera is quite slow, meaning shot to shot time is really long. Superior Auto not always produced the type of shots we were looking for so we often resorted to shooting in Manual. The images themselves are a mixed bag. On one hand, you have great colors, excellent contrast and dynamic range, nice detail definition and even great pixel level processing. On the other, the edges of the images came out blurry more often than not - and for no apparent reason. Also as soon as it gets darker, or even when part of the scene turns out to be in the shadows, the digital noise in those regions spikes up and the noise suppression clearly squashes a lot of the fine detail. While Superior Auto would occasionally activate the HDR mode, if you really want to force it, you'd have to go to Manual mode abd select Backlight Correction (HDR) from the Scenes menu. We uploaded the full resolution 13MP photos to our photo quality comparison database to compare against other high-resolution smartphones. The image quality and contrast - are below average, which is odd, considering the 13MP camera hardware. 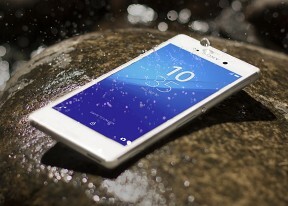 The Sony Xperia M4 Aqua is capable of capturing 1080p video. That's a little disappointing, seeing how there are plenty of megapixels and processing power for 2160p video. The camcorder shares the same UI as the still camera, unless you go into manual mode. In manual mode you can set a timer and fiddle with settings like exposure, metering, focus mode, etc. For videos the Xperia M4 Aqua features digital image stabilization - SteadyShot, but there's a price to pay - the field of view (FoV) is reduced (it's how all digital stabilization systems work). Also, it takes a huge toll on the quality. The phone is smart enough to detect whether you are shooting hand-held or you have rested it on something stable but you get the reduced FoV either way if the option is turned on. The phone's 1080p video samples are nothing to rave about. Sharpness and detail are pretty low and there is also quite a bit of noise. The frame rate is around 29 fps, while the bitrate is good at 16-17Mbps with stereo sound recording with a bitrate of 128 Kbps and 48 kHz audio sampling rate. Rather surprisingly, autofocus was pretty laid back unlike most other Xperia phones we have reviewed and hardly hunted for focus while video recording. It did act up a little bit in the HDR sample, but, considering what it did to overall quality and colors, we don't really consider it superb to begin with. It even had a bit of frame drop, making for a quite underwhelming experience. Here's a 1080p sample, which we've uploaded on YouTube. We also shot one in HDR. And here is an untouched 1080p@30fps video sample (9s, 24MB) for you to download. The Sony Xperia M4 Aqua captures mediocre 1080p videos. It manages to resolve good detail in our resolution chart test and under good light conditions, but there is lots of noise and artefacts when shooting in low-light rooms.